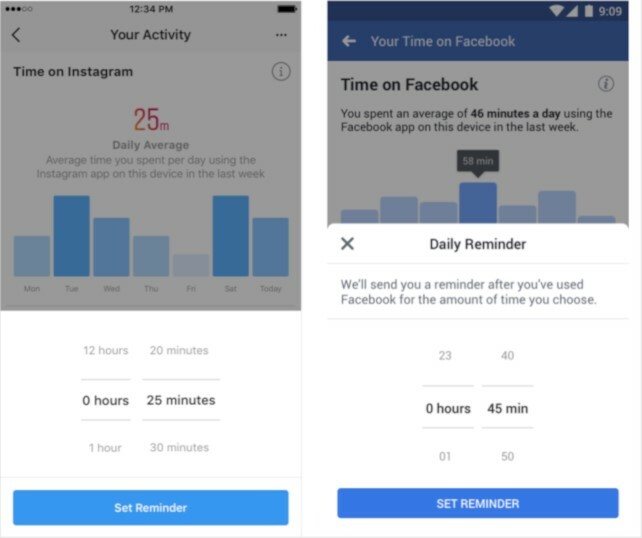 But today, Facebook has been rolling out a feature that allows you to estimate how much time you spend using both the Instagram and Facebook apps. There you can see a bar graph of the week, with your usage time, showed by hours and minutes per day and the average overall. Tap “your activity,” and you will see the equivalent. Though Facebook announced both features in August, they are not fully baked at launch yet. The Facebook tool, in particular, has severe limitations, the most obvious of which is that it doesn’t count the desktop usage at all. You can only access the tool by using the app. The Facebook and Instagram tools also don’t count your total usage across devices. 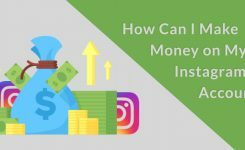 The numbers in the bar graph show only how much time you spend on Instagram or Facebook on that single device. “As we continue to work on these important tools, we hope to add a measure for the desktop/world wide web,” said a Facebook spokesperson in a blog post. The company would not develop on what might stop it from including desktop in the future. “We are starting with measuring time spent on the mobile app because people spend more time using the Facebook mobile app than on their desktop computers,” she said. 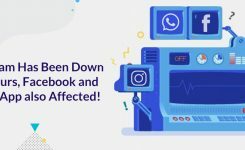 Facebook refused to share the data analysis by device or demographic, but with the mobile usage, in general, more among teenagers, it seems possible that an excessive quantity of older Instagram and Facebook users may not be able to track their usage efficiently. It also won’t help anyone who may have removed the Facebook app from their phones, but still get online on the mobile web. Still, for heavy users, the tool would give a good insight into how much time you have spent to be on the social network. The tool pushes you to take more control over your social media experience. Below the bar graph, there is a bolded advice to “Manage Your Time,” and when you click on it, it will guide you to your setting, your friend’s list, and the News Feed. 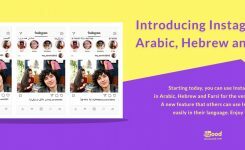 You probably want the platform to show you less news and more photos, or vice versa, or to see more from some friends and less of others. On Instagram, you get the opportunity to change your notifications. Which you should! You don’t really need to get notified likes on Instagram. 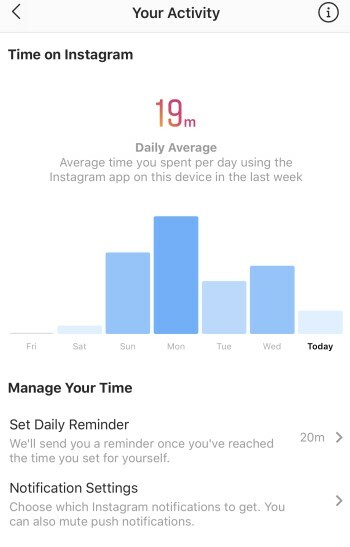 The most potentially annoying and disruptive—but useful—feature for both platforms is a timer you can set, called a “Daily Reminder.” Tell the platform how long you believe it is healthy for you to be on Instagram or Facebook, and it will tell you to sign off once you reach that limit. Will knowing you spend three hours a day looking at Instagram on your phone be embarrassing enough to get you to stop? 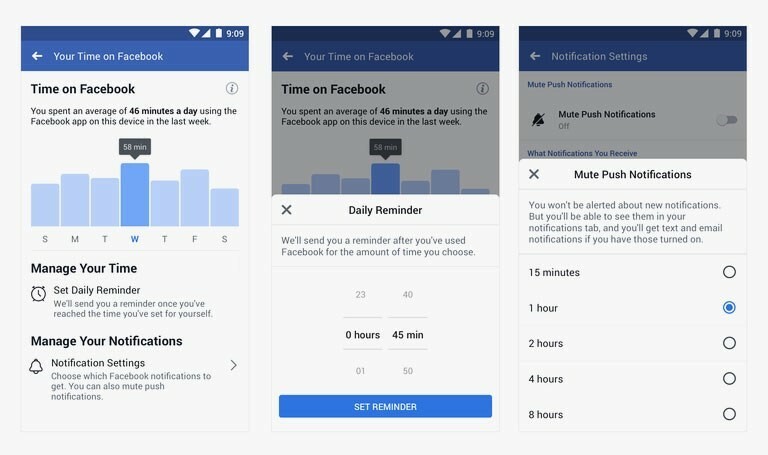 With the tools hidden deep in your app’s settings, and giving only an incomplete look at your entire Facebook time sink, it could simply become just another harsh truth to ignore.